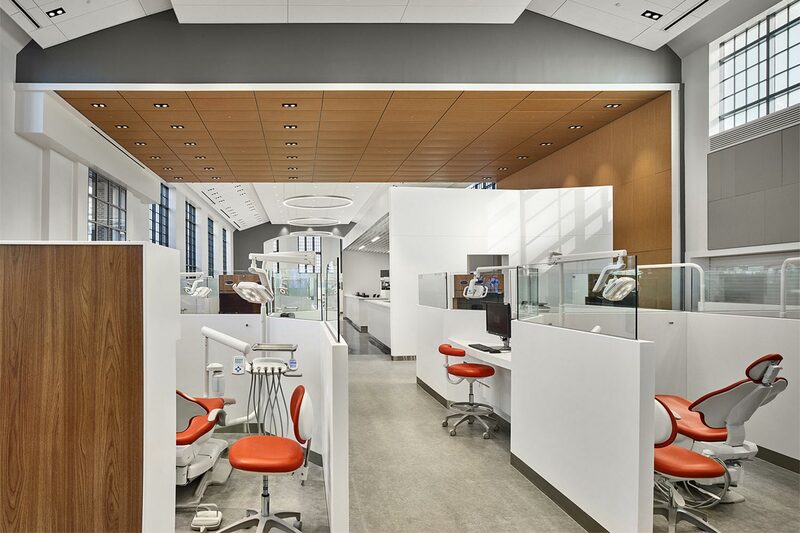 Penn Dental Medicine is among the oldest university-affiliated dental schools in the nation. 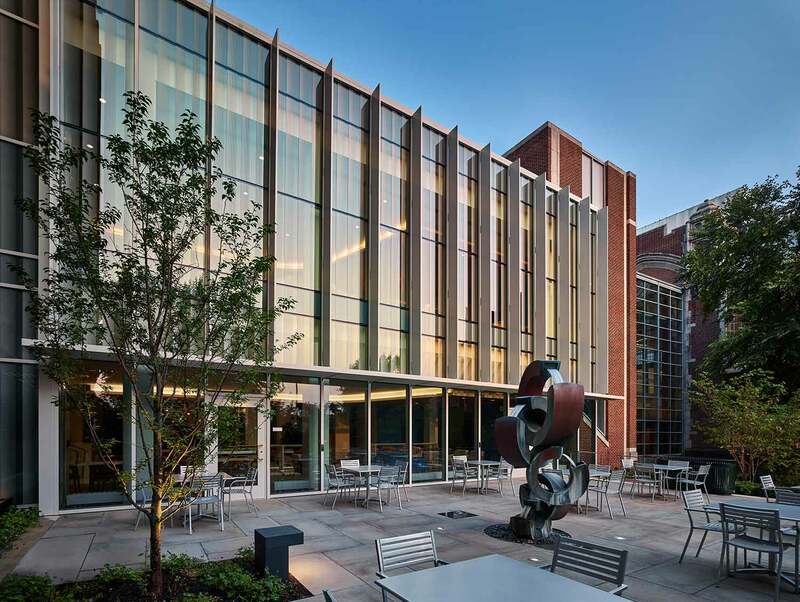 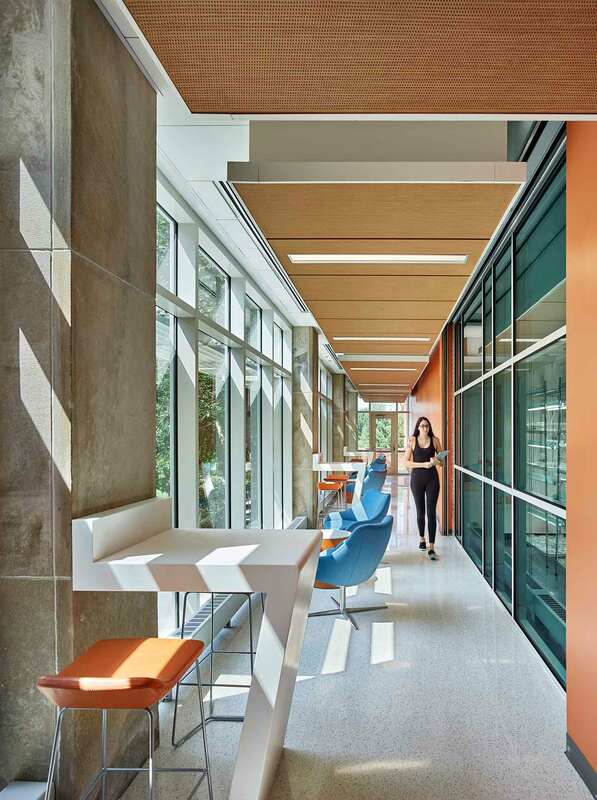 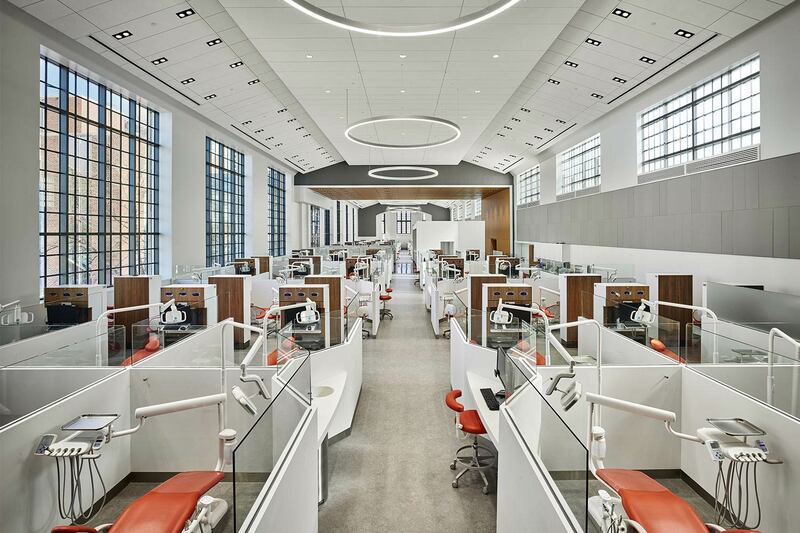 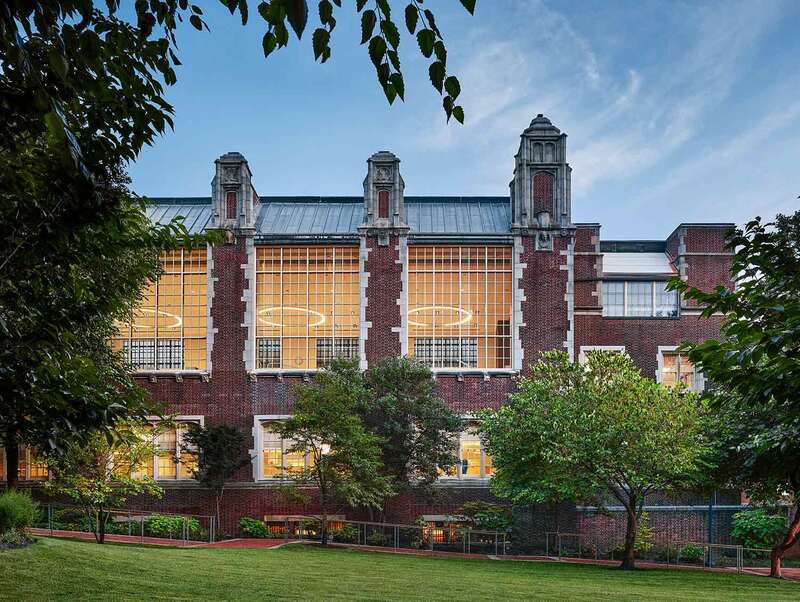 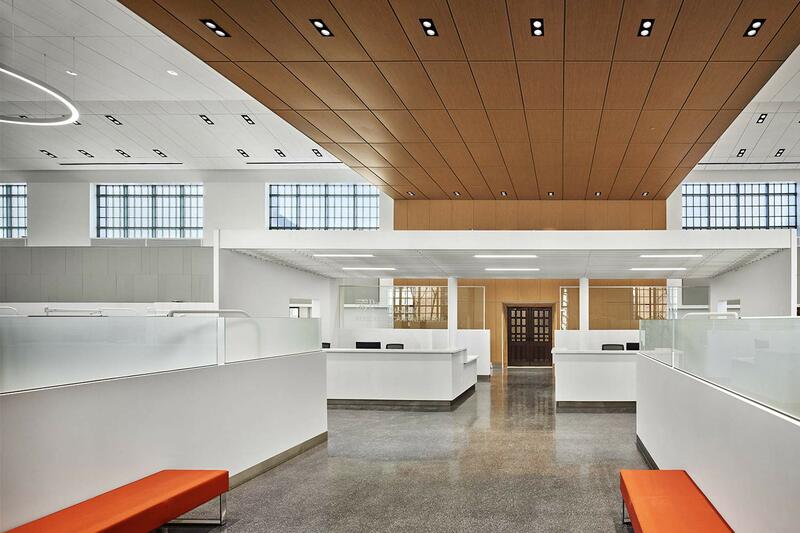 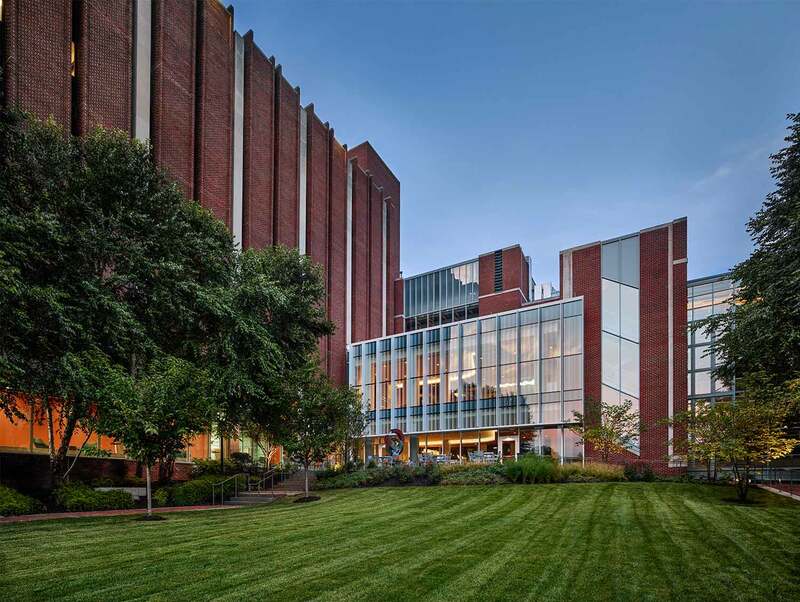 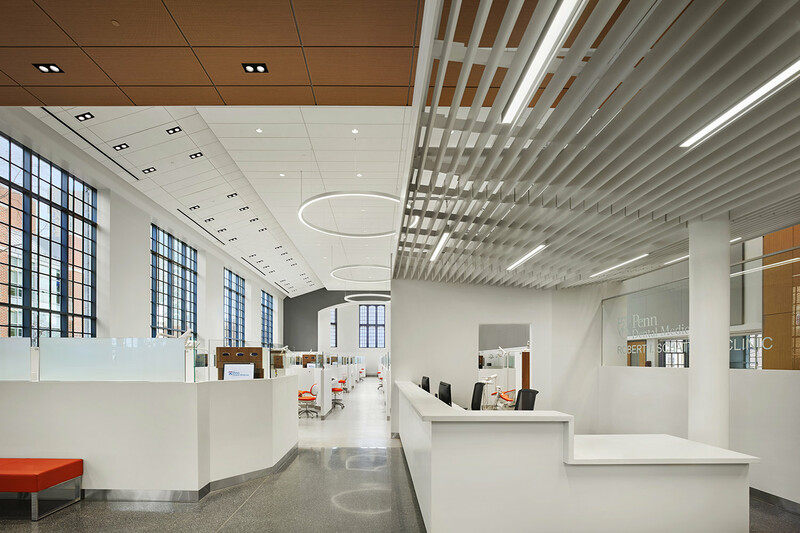 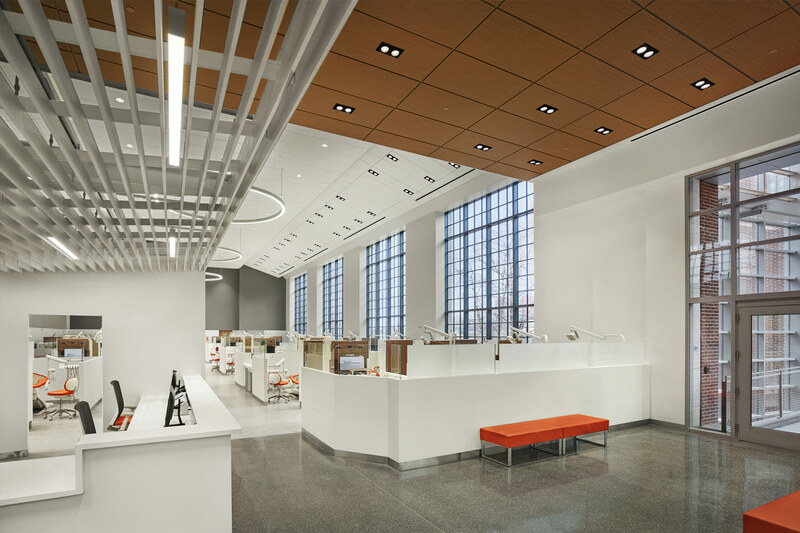 The 100th anniversary of the program’s flagship structure, the Evans Building, launched a rigorous campus building upgrade program that aims solely at enhancing student and patient experience. 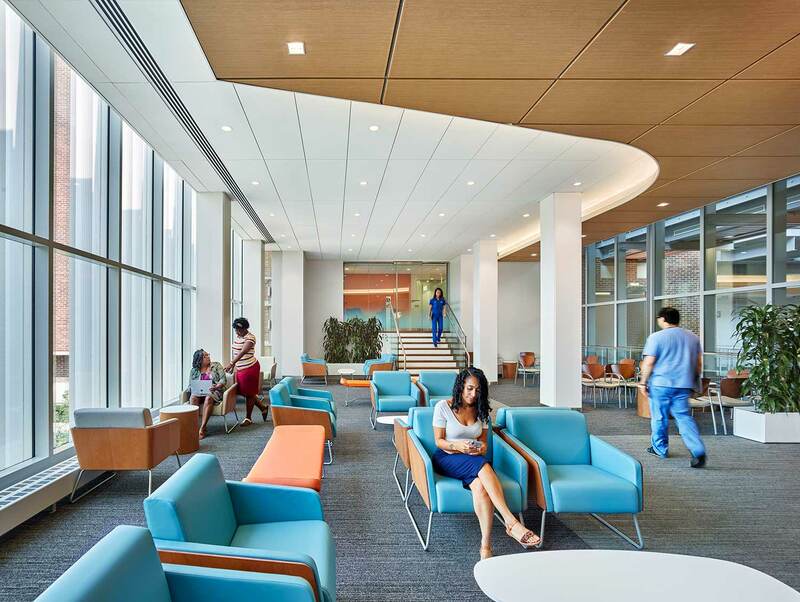 Embarking on a complete renovation of the 9,700 SF Main Clinic will restore the layout and 75 operatories, enhance educational opportunities, and improve patient comfort. 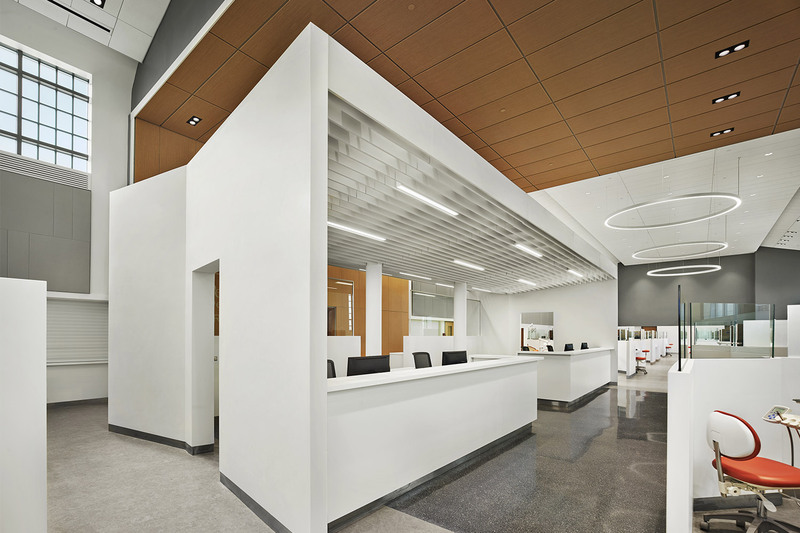 The addition of 3,300 SF to the existing Schattner Center provides student gathering space, break-out space for research, and a 60-seat patient waiting area. 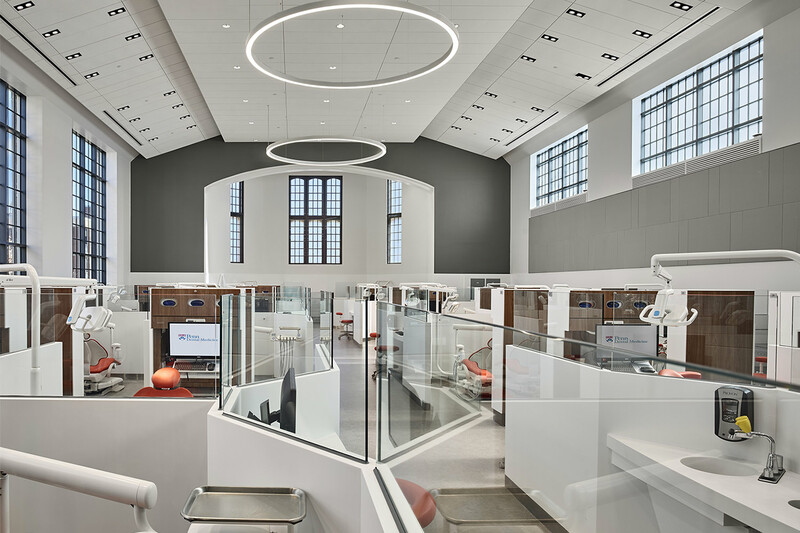 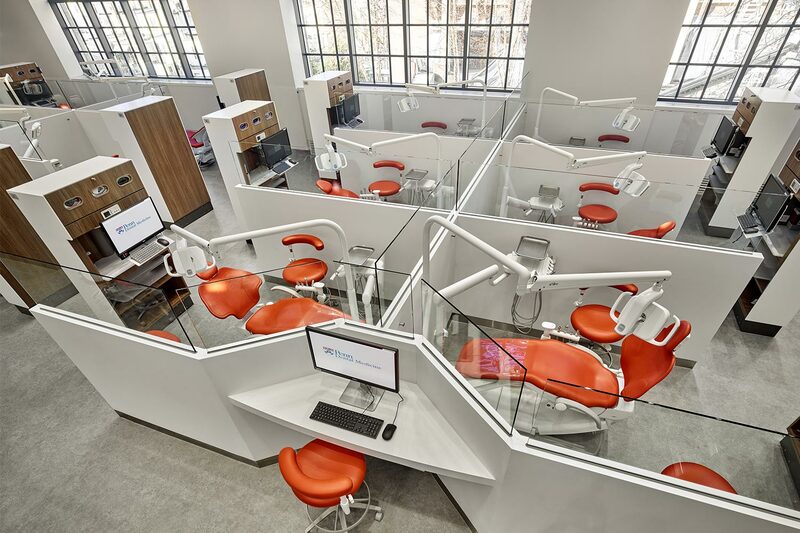 "When we’re complete in 2018, we’ll be in a fantastic position with respect to the global landscape of dental schools."